Nicoline Scholman provides policy assistance to the company secretary, enabling them to fulfil their own role with a targeted, functional allocation of time and resources. She contributes to the execution of the KWR legal and quality policy by means of preparation and assistance in formulating policy documents and legal issues. 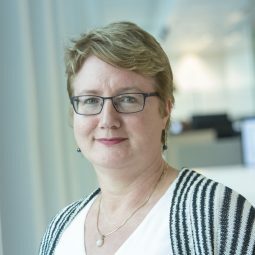 Nicoline also provides content assistance to the Chief Science Officer in his work for the external Scientific Advisory Council and the internal Scientific Council and serves as a back-up for the company secretary.